The Pirastro Piranito Viola String Set has a direct sound and quick response. Each string features a single filament steel core that provides soloists with a smooth sound and clear tone. The chrome steel winding adds brilliance to your overall sound, as well as assisting feel. 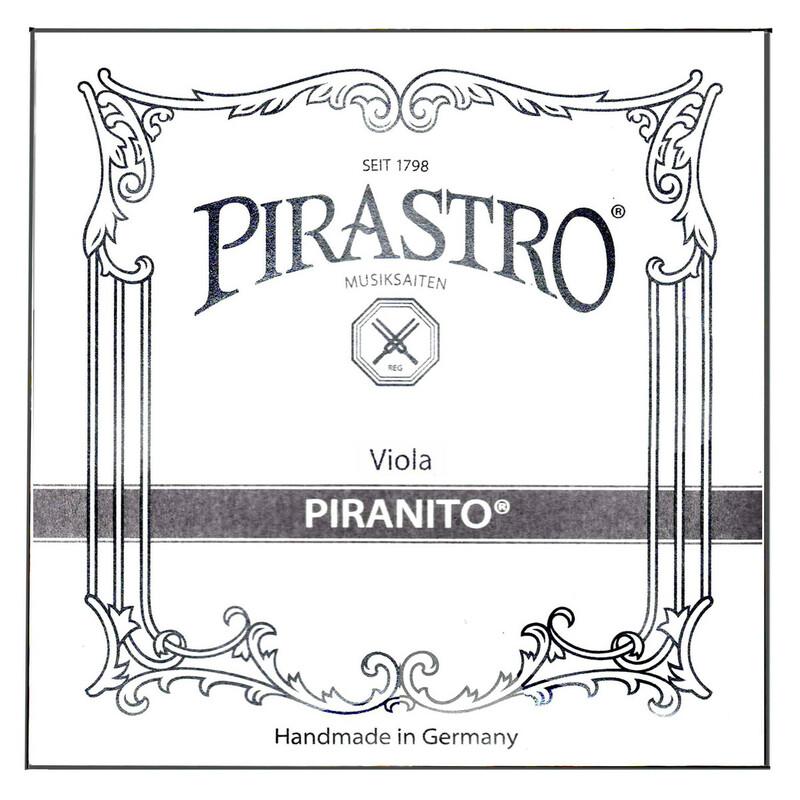 Because of the viola?s size, these strings will naturally emphasise the higher frequencies. The medium gauge tension offers optimum playability and versatility. These strings have removable ball ends and are designed for 1/2 and 3/4 size violas.